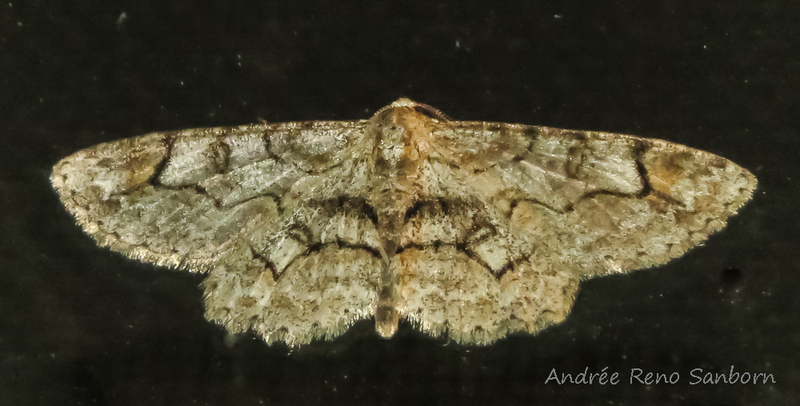 This moth is not spectacular, but is special. Three-Spotted Sallow (Eupsilia tristigmata); Northeast Vermont; April 10, 2017. We call these sap moths because they show up in the sap buckets every year. They float on top of the sap in the bucket. My husband will gently take them out and let them dry near the evaporator while he cooks the sugar. I photograph them when I get home from school. It’s amazing that they don’t drown. I guess they just float and sip. I can’t blame them. Pure, uncooked sap from the sugar maples is the most delicious thing on earth and I love it when I get some, snowy cold, before it is cooked. 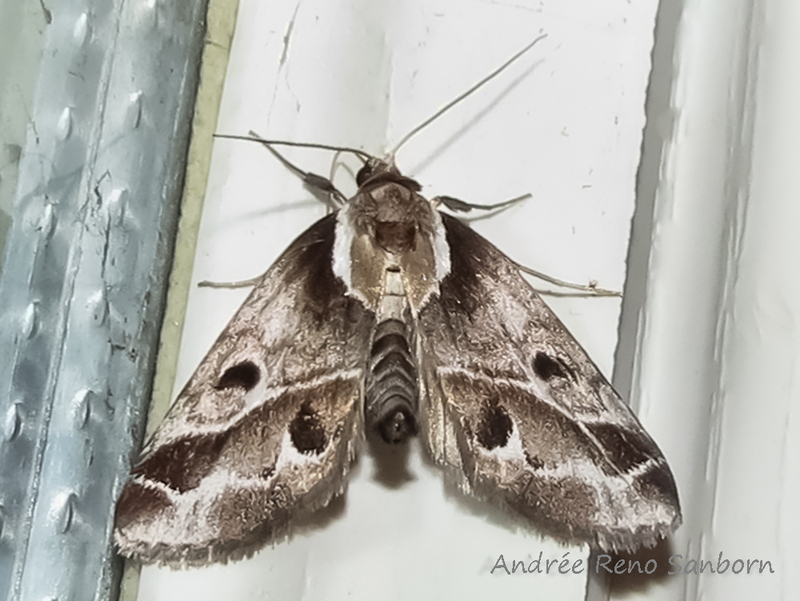 Seeing this moth means that the new season is on. 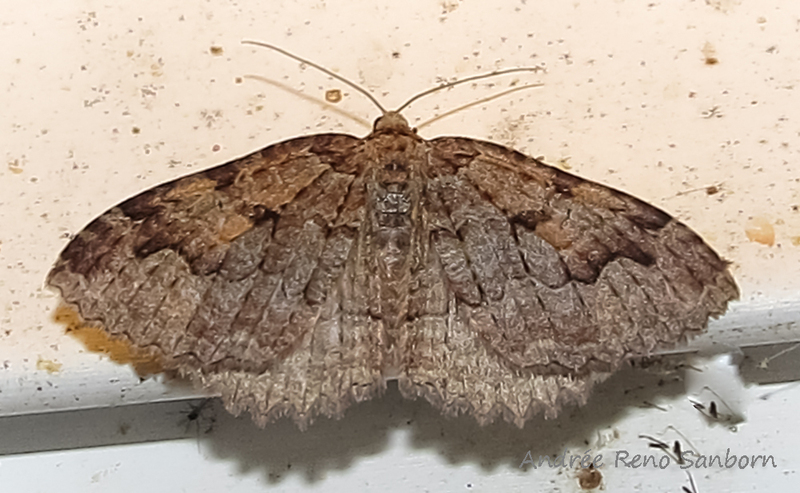 Tissue Moth (Triphosa haesitata); Northeast Vermont; April, 2017. This ID has been confirmed by bugguide.net. These adults overwinter in caves. We have caves on Barton Mountain behind us. I’d go look for the moths up there but the bears and bobcats also live in those caves. 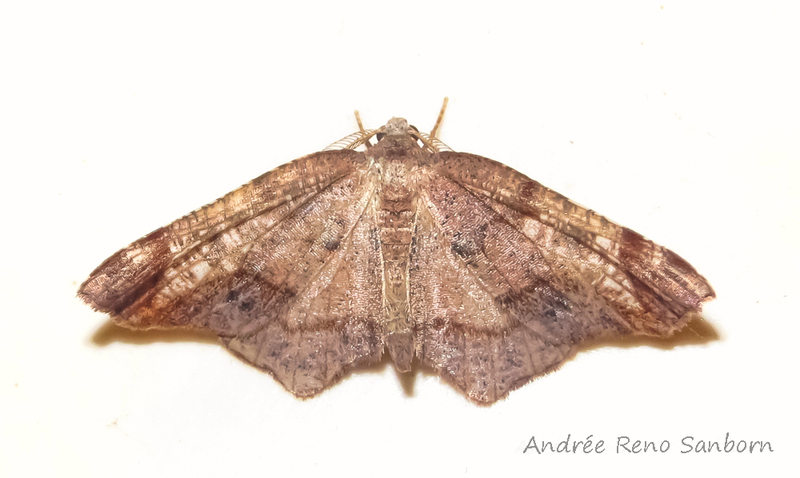 Sigmoid Prominent (Clostera albosigma); Northeast Vermont; May 19, 2017. 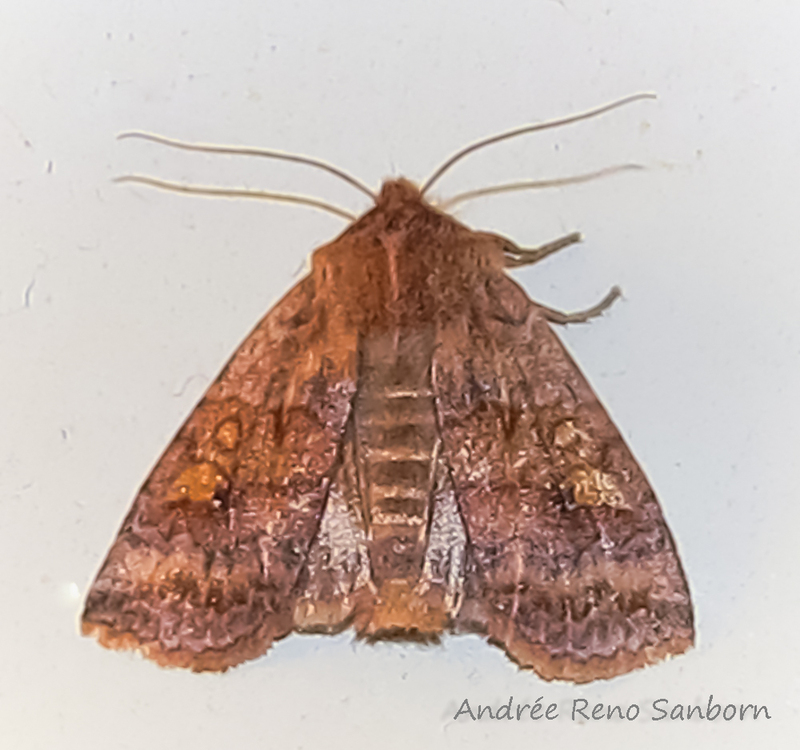 There is a pretty strict protocol for moth photography: close crops, dorsal shot with head up, lateral shots with head to the right. If you can’t get it right in the field, you can rotate the image in the computer. Or you can use your hand. I like that much better than chilling the moths in the refrigerator (and frequently forgetting they are there; I think I still have a wasp in my freezer.) 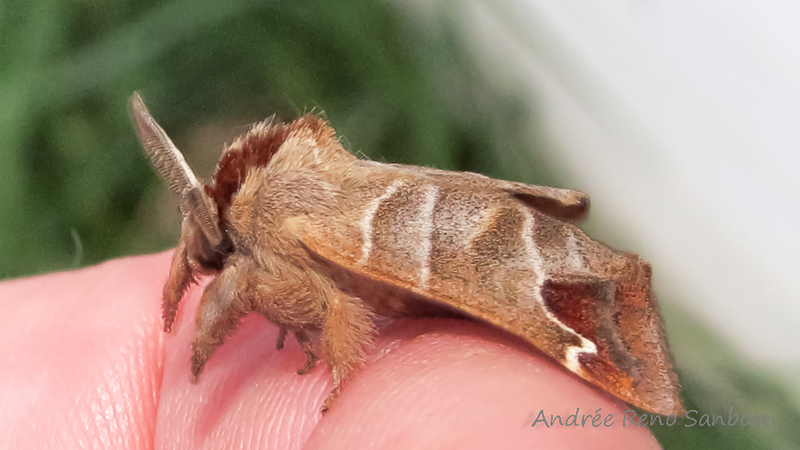 Hand shots of moths also give viewers more context; the moths are more accessible to moth-phobics. I hope. It’s also wonderful to feel them walk on your skin. 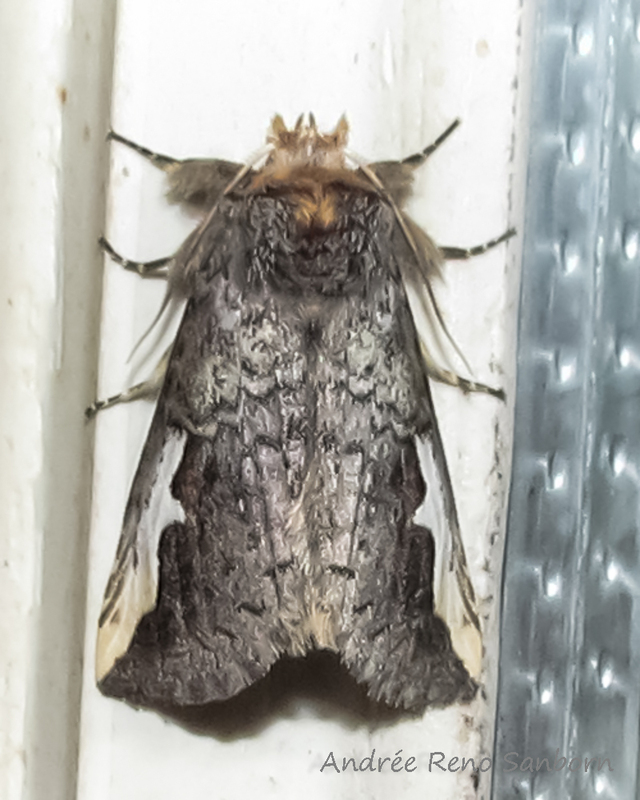 I try to get the face and eyes of moths. Baileya doubledayi – Doubleday’s Baileya, Northeast Vermont; May 30, 2017. According to bugguide.net, this is uncommon to rare. A frustrating genus. 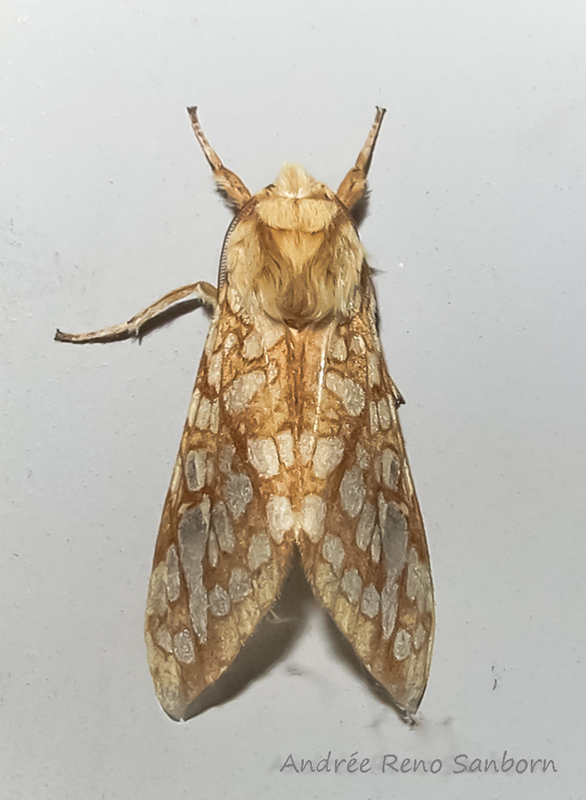 Hickory Tussock Moth, (Lophocampa caryae). 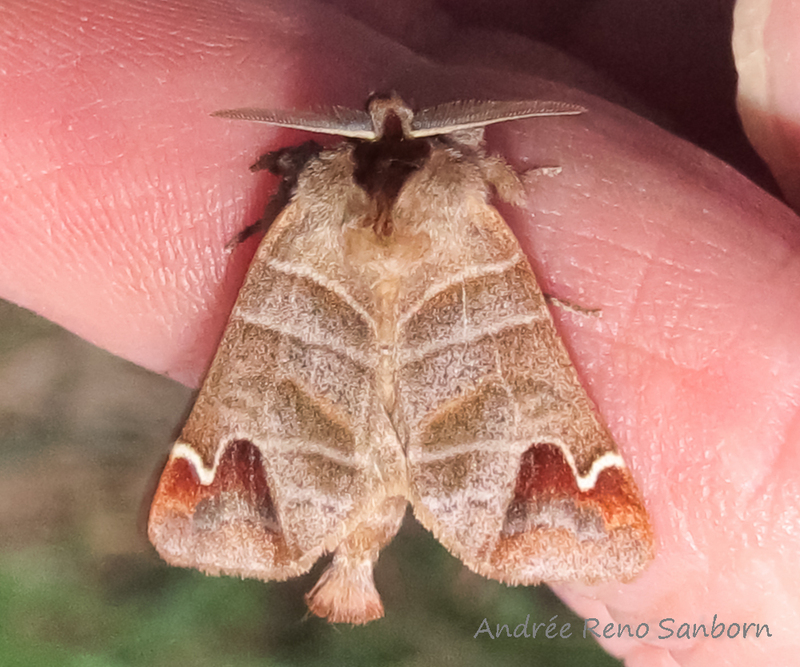 A pretty moth from the genus Symmerista. Always one of my favorites. Genital dissection needed to ID to species. I am not doing that, but I’ve been thinking of learning how. Hosts: Quercus, Acer, Castanea, and Fagus. Northeast Vermont; June 10, 2017. This entry was written by whyevolutionistrue and posted on June 18, 2018 at 7:30 am and filed under insects, photography. Bookmark the permalink. Follow any comments here with the RSS feed for this post. Both comments and trackbacks are currently closed. Nice pictures! Do you generally bring them in with a light at night? oh no. I’ve been doing that too (not for dragons, tho). I’m never doing it again now. Thanks for cluing in the clueless. Very cool. I liked the finger shots. I really appreciate the feedback about hand shots. I like them the best and I feel strongly about how they can re-connect people and nature. Especially my kids at school and nature. Your notes express a sincere love of insects, and that is always wonderful to see. Lovely moths. Thanks for the nice photos and commentary. Great photos, all. I wish you had sent those in earlier though. instead of one day after Father’s Day, maybe it should become a tradition for you to share some of these on MOTHers Day. On a related note, I hear a bone headed plan to force maple syrup producers to label their products as having ADDED SUGAR, for no other reason than their product is considered HIGH in sugar and some numbnut thinks this will help people eat healthier! That’s funny about Mother’s Day moths. Wish I had thought of it. On the sugar thing. It’s an uproar alright and I bet it doesn’t work. It’s plain silly. Maple folks have a pretty strong lobby and darn good senators (Bernie and Leahy). How is it they look hairy, is it for warmth? It makes them look approachable as opposed to what a wasp looks like, aggressive. Nice to see these, thanks. I’m going to look into it more. 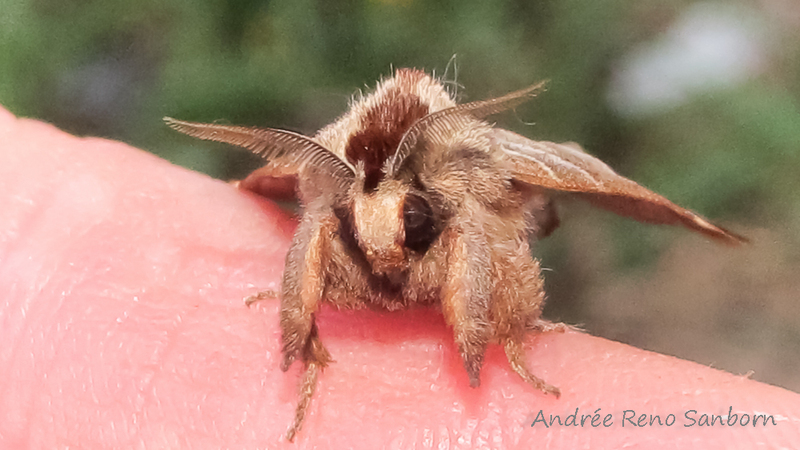 Ok, thanks Andree, the link was very useful, the moths i encounter, most seem less hairy and powdery. Hence my curiosity with the” hairy” types. I live in a temperate climate, Nth Island, NZ. The warmth factor, hairy, very hairy in colder (on average) environments, powdery and moderately hairy in warmer environments may be something to consider. Let alone the reasons the link provides. Very interesting.